Coming soon an exclusive, strong finishing in APPUNTI collection! Fresh restyling for a timeless collection. 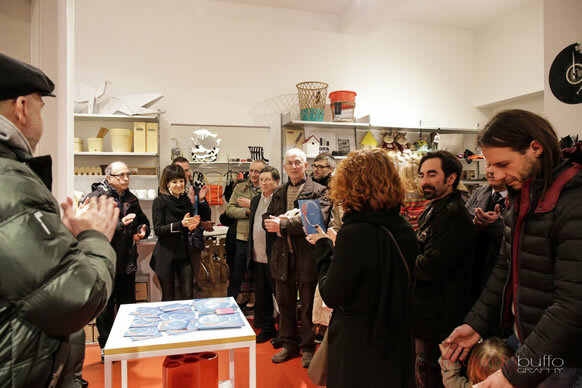 01.2015 - PUNTOACAPO is born! 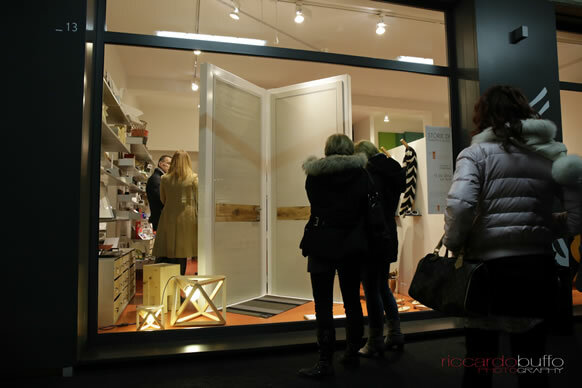 2015: PUNTOACAPO brand is born! 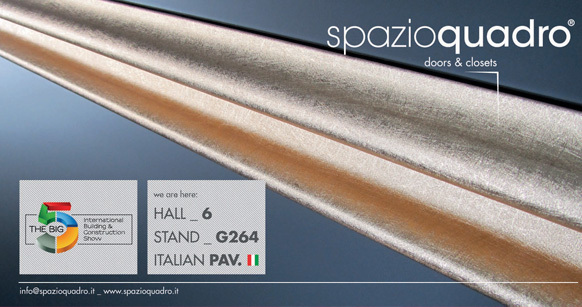 The new SPAZIOQUADRO young line. 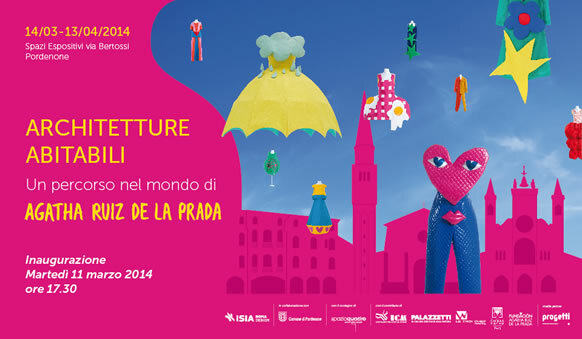 05.2014 _ Architetture abitabili "A way in the word of Agatha Ruiz De La Prada"
Spazioquadro is waiting for you to the opening of Agatha Ruiz De La Prada's exhibition in Pordenone. 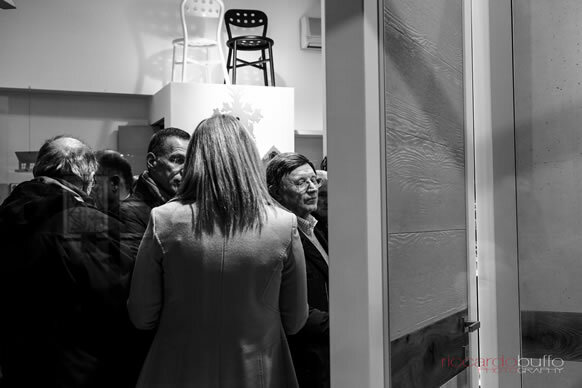 A few photos from the event "Stories of concrete and wood". 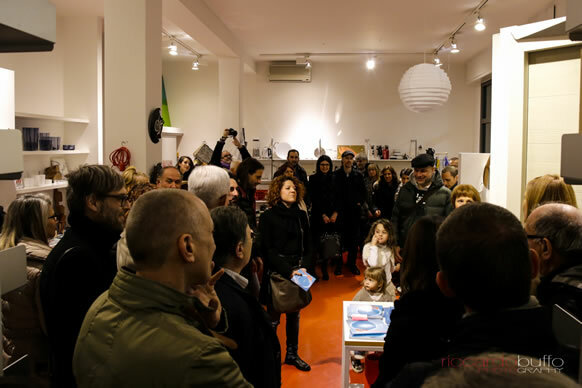 Spazioquadro is pleasure to invite you Saturday, February 15, 2014 at its new temporary exhibition space inauguration to "COMPLEMENTO OGGETTO" in Pordenone. 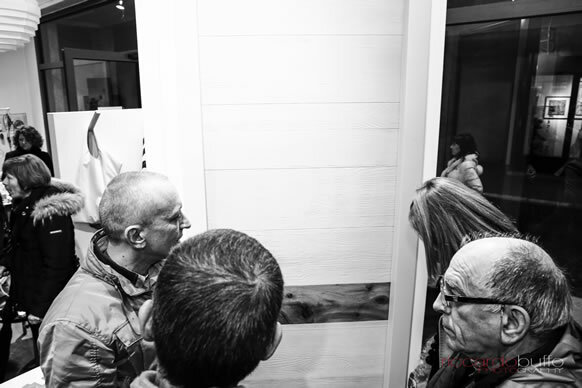 The luxury models of the sensazioni collection are created with high-class, natural materials: precious wood species and CIMENTO®. CIMENTO® is a special cement mix applied to the panel and produced by our partner, Sai Industry (www.saiindustry.org). It is available in various finishes. 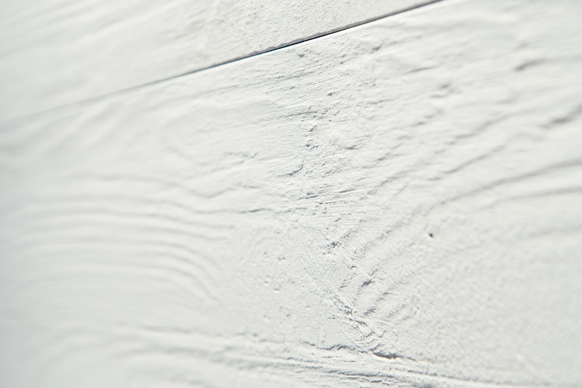 Plain CIMENTO® is a porous finish that is nevertheless velvety-smooth to touch and offers excellent aesthetic results either combined with Venetian briccola wood or by itself. 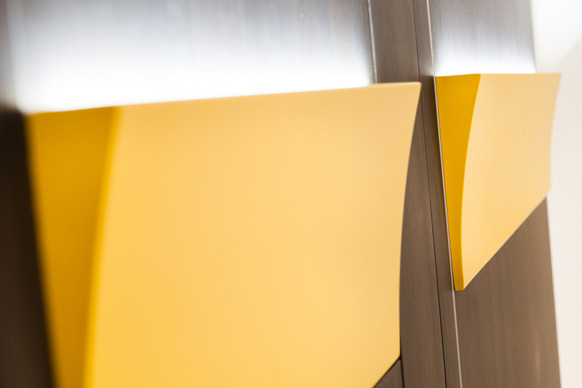 Each CIMENTO® slab is produced by hand with utmost care and attention to detail. All the slabs are protected by a stain-resistant treatment and the result is a product with the special light and dark effects that can be found on handmade products only. 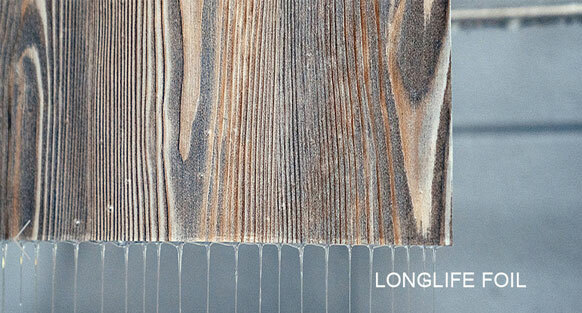 The handicraft expertise of these materials can be particularly admired in the slatted CIMENTO® finish that beautifully combines the warmth of wood grain with the natural appeal of real cement. 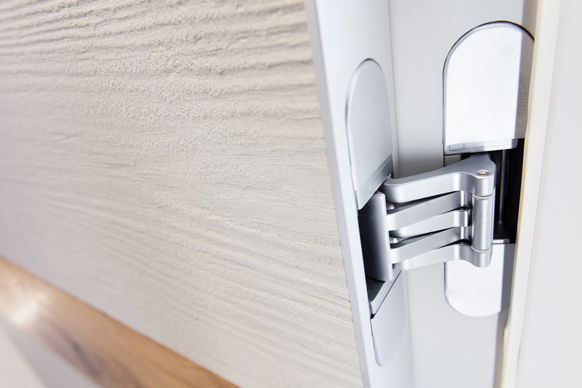 All the hinged door models of the sensazioni collection are provided with two or more special concealed hinges that allow the door to have an opening radius of up to 180°. The sensazioni collection can satisfy the most varied tastes thanks to its different models. For instance, the iride model is just perfect for hi-tech, innovative settings. 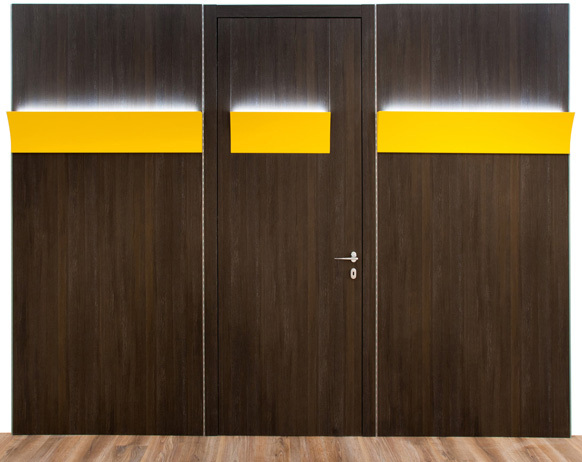 This door stands out for its adjustable-intensity led light strips that can fully replace any other lighting inside the room. 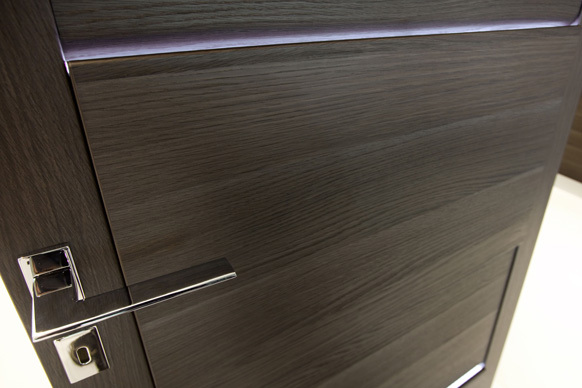 Each iride door is provided with an infrared remote control to switch the light on and off and to adjust its intensity. 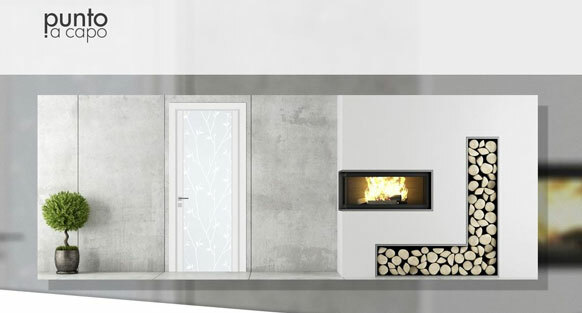 To function correctly, this door model needs to be wired through the wall by means of the doorjamb (on the hinged side) by which it can also be connected to a wall switch instead of to a remote control. The original stelo lampshade also offers an interesting light effect. This model is very good at interpreting the basic rules that govern illumination engineering: due to its slender shape, the upward direction of the light allows the rays to be reflected on the ceiling, spread and descend into the room light a waterfall. 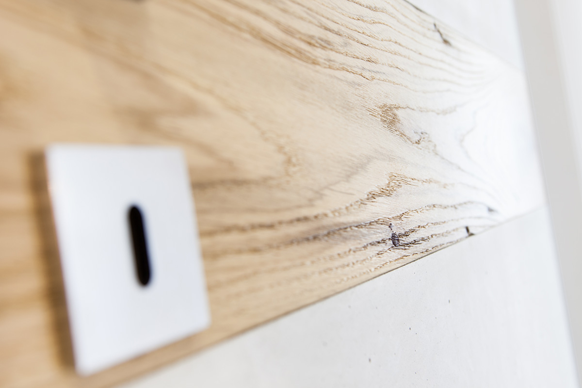 The stelo model can be fitted on a wall panel with the same finishes. 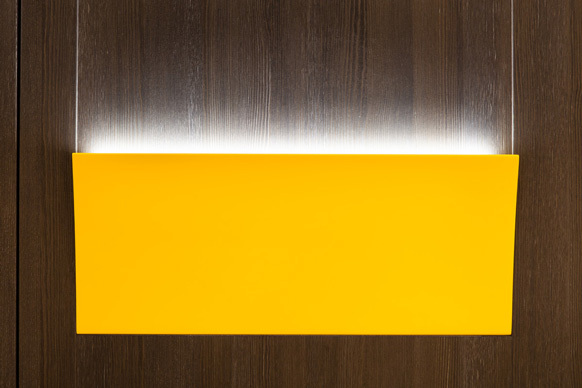 The panel can be wired just like the door, simulating its shape, colours and light effects.